Decleor Aroma Sun Expert Protective Hydrating Milk SPF30 for Body is a non-oily sun milk that effectively protects the skin from the sun, while promoting a natural and long-lasting tan. Helps to prevent the appearance of cutaneous ageing. 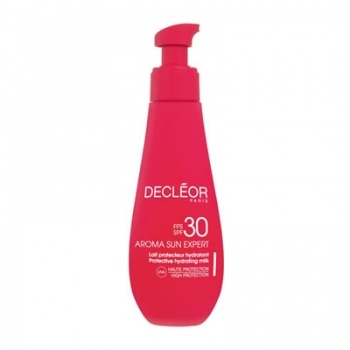 Decleor Aroma Sun Expert Protective Hydrating Milk SPF30 for Body is a very comfortable, non-greasy milk, which leaves the skin feeling as soft as velvet.